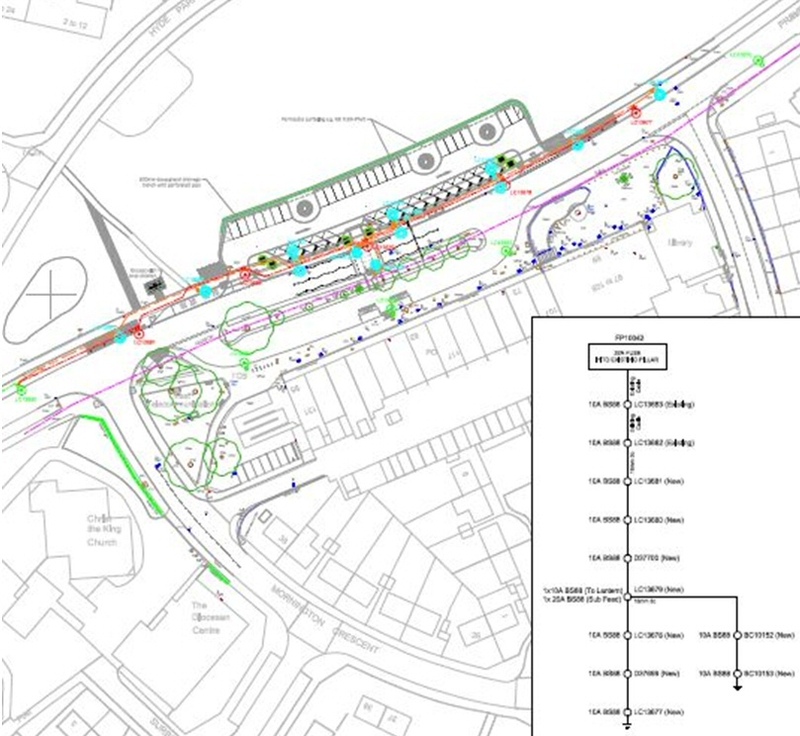 Working on behalf of Balfour Beatty Living Places (BBLP) in Derby which BBLP have the street lighting PFI working in partnership with Derby City Council (DCC), MMA Lighting Consultancy Ltd provided a lighting design solution in December 2015. The lighting design solution met the then current DCC specification and in accordance with BS5489:2013. The scheme was lit to C3 for the traffic route and a medium use car park for the new car park, utilizing the Philips Luma 1 LED 13.00 klm R5 Lens. 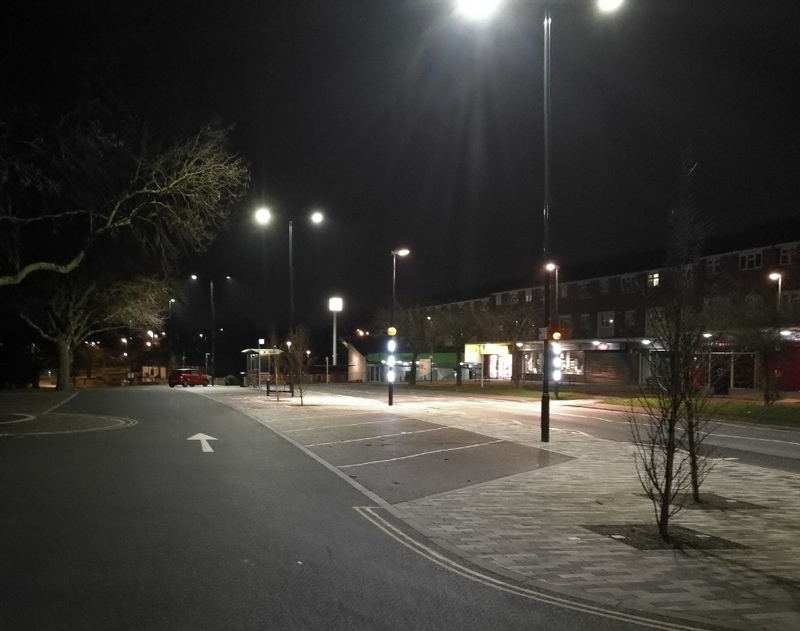 This new lighting scheme replaced the previously installed Philips SGS253 PC OC P5 140w CPO lantern which was installed by BBLP under the street lighting PFI which the CIP ran from 2007 – 2012. 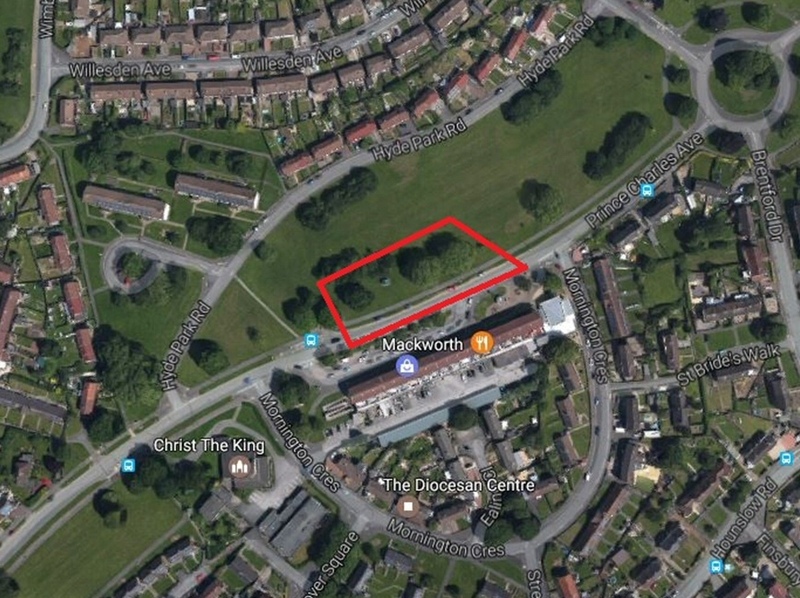 The site is located on Prince Charles Avenue in Mackworth a suburb of Derby City which is nestled between the A52 and A38. The housing estate was built after the Second World War and provided homes for the people of Derby. The land provided for the estate was part of the Mundy estate that gifted the land for housing stock. When designing the project using lighting realty we positioned the lighting columns to avoid windows of the flats above the shopping precinct and keep spill lighting to a minimum. Also as part of the lighting design scheme it was important to install the columns on the same side as the existing equipment to ensure a supply was available. Three columns have been installed with twin brackets to light the new car park and we were asked to not install columns at the back of the car park due to existing trees and to limit the amount of trenching required. All design parameters were achieved and a successful lighting design was produced for the client and authority. Also as a consideration for this scheme was the crossing to the shopping area from the new car park, this was installed using DCC Specification Simmonsigns Modupost/Midubel LED unit with a post top mounted WRTL Arc Zebra 140w Metal Halide lantern. This has improved the safety of the highway for pedestrians and the visibility of pedestrians for vehicle users. Having visited the site after installation the lighting scheme has enhanced the new car park and provided a safer environment for all users. Lighting Calculation using industry standard lighting reality software. Cable calculations for the private network connections. MMA Lighting Consultancy Ltd undertake highway improvement schemes, section 278s, sections 38s across the East Midlands for various contractors, housing developers and consulting engineers. To discuss how we might be able to assist on your scheme, feel free to call our offices on 0118 321 5636.